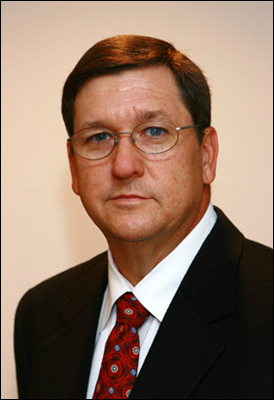 Dr. Norman completed his BS degree from the University of Tennessee at Martin in 1980. He received his Doctor of Dental Surgery degree from the University of Tennessee Center for Health Sciences in Memphis in 1984. After dental school, Dr. Norman was an associate dentist in a practice in Lenoir City, Tennessee where he received hands-on training in implants and comprehensive restorative dentistry. Beyond his educational achievements, Dr. Norman has received many distinctive honors from his colleagues. The dentist in Maryville, TN is recognized for his ethical practice and community leadership through the years. He is a Fellow of the Tennessee Dental Association, the International College of Dentists, the American College of Dentists, and the Pierre Fauchard Academy. As an active member of the American Dental Association (ADA), Dr. Kim C. Norman has held every executive leadership position in the local component society, even serving as President between 1999 and 2000. Dr. Norman is currently a delegate to the Tennessee Dental Association and head of the local Peer Review Committee. Dr. Norman has consecutively achieved the ACE Award for the past 20 years. The ACE Award is given to doctors who attend 40 or more hours of dental continuing education each year. He is also a member of the American Endodontic Society. A dentist in Maryville, TN, since 1986, Dr. Norman has successfully built long-term relationships with patients because he bases each of them on trust, respect, and commitment. His practice has grown exponentially through referrals and recommendations. As a dentist in Maryville, TN, Dr. Norman is widely known for his excellent dentistry services. Patients of all ages appreciate him for the kindness and concern he shows each person who comes to him for care, especially those who have fear and anxieties with surgeries and operations. His philosophy has made every procedure successful and his patients’ recovery period fast. Dr. Norman makes sure to provide his patients with the education they need to take better care of their dental health and make informed decisions for their condition. Dr. Norman is the son of Mr. and Mrs. Hubert Norman of Maryville, and brother of Lt. Col. Steve Norman (USAF, retired) of Pekin, Indiana. Dr. Norman’s wife of nearly 25 years, Angel Norman, is a consulting financial analyst in the real estate development industry and lecturer in the MBA program at the University of Tennessee. Dr. Norman and his wife are both very active members of Broadway United Methodist church. Although they belong to different industries, their commitment to their patients and clients makes them successful in their respective fields. In his spare time, Dr. Norman enjoys golfing, fishing, traveling, and working in his yard. An avid Jazz fan and percussionist since age 3, he also loves playing drums. Visit our Maryville Dentist office or call our dentist in Maryville, TN at 865-982-9662 for inquiries about us or our dental services. Our services are available in major cities in Tennessee such as Maryville and Knoxville.